Waymond Hayes is a high energy, self-motivated individual with great leadership skills. He is a frequent workshop presenter and speaker who brings complementary, but distinctly different experiences to Child Development. 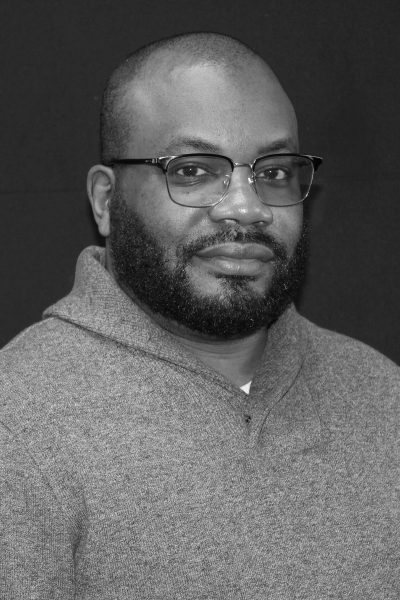 Currently, Waymond is the Director of Early Learning / Youth Development at Focus: HOPE, and sits on the boards of the Michigan Head Start Association, and Great Start Collaborative. Mr. Hayes is also a dedicated member of Phi Beta Sigma Fraternity Inc. where he is the Director of Education for the Detroit chapter Pi Rho. He has trained teachers and parents for over 16 years on a myriad of early childhood topics. With over 18 years’ experience working in all areas of Early Education and his quest for knowledge and determination to become a leader in his field; Mr. Hayes has also earned his Associate Degree in Early Childhood Development from Oakland Community College, Bachelor in Early Childhood Education/Family Studies from Rochester College, Master Degree in Early Childhood Education from Oakland University and is currently working toward his Doctoral Degree in Organizational Leadership. Mr. Hayes also used his knowledge with young children to teach others by becoming an Instructor of Early Childhood Education at Baker College. Most recently he accepted an opportunity as a Lecturer at University of Michigan where he taught a class titled “Understanding and Working with Families with young children”. Waymond Hayes was one of the first students to attend a head start program on the southeast side of Detroit as well as the first Male Center Administrator to open a Head Start all Male Academy at the same agency and location. He credits deep Family involvement in Early Childhood Education as his source of motivation.